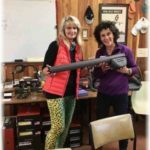 Now in its third year, the Girls Gone Fly Fishing annual weekend has become a regular and eagerly anticipated event on the calendars of many fly fisher chicks Australia wide. 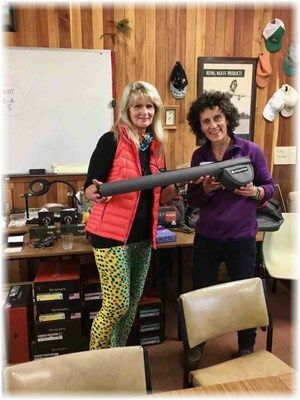 Every year in April they are drawn to the small town of Cressy, in Tasmania’s northern midlands, joining others at Hayes on Brumbys to enjoy a weekend of great company, fabulous food, wine and champagne, and to improve their fly fishing and casting skills. The 2017 GGFF event was held on 21st – 23rd April. Most of us began arriving on Friday afternoon and started the weekend off with champagne and casting. The sounds of laughter and chatter carried through the air as friends reconnected and new friends were introduced. Some stayed in Hayes on Brumbys accommodation, some brought campervans and camper trailers. For the third year in a row, the very talented Jen joined us, keeping us well fed with delicious, hearty meals and snacks. Jen’s cooking skills are legendary, and that’s not an exaggeration! This time, she had travelled all the way from Dubbo; that’s how dedicated she is to the GGFF weekends! Our four brilliant coaches this year were Peter Hayes, a famous, multi-award winning, CBOG MCI qualified fly casting instructor; Bob Young (aka no.10), Australia’s tenth MCI qualified fly casting instructor; Karen Brooks, CCI qualified fly casting instructor (third female in the Southern Hemisphere to achieve), and Annie Skarratt, CCI qualified fly casting instructor (fifth female in the Southern Hemisphere to achieve).